A “Stable Hack” refers to a one-week intensive agile sprint to develop a MInimal Viable Product (MVP) wireframe to support clients developing new products or websites. The process is essentially a well-managed “hackathon” with input from StableHack’s expert team of client strategists, designers, product managers and developers. Our deliverables help clients move to the next phase of product development based on the costs associated with each step. 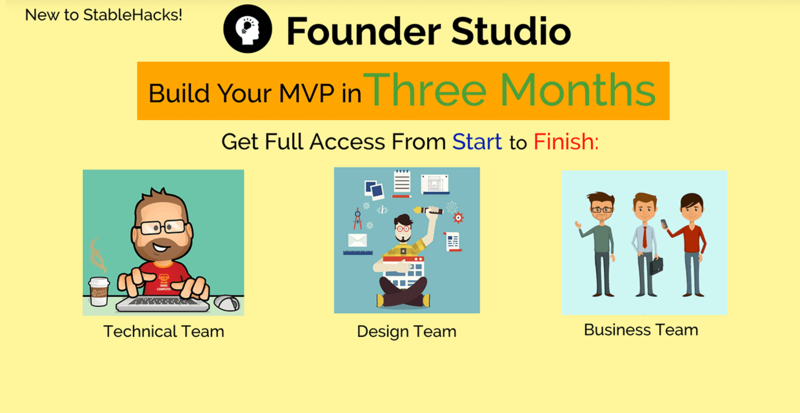 Our MVP development cycle utilizes a unique three-month development process to get your MVP from the idea phase to product launch. Our team will work with the client to develop brand values and design a contemporary logo to support product launch and subsequent marketing campaigns. We provide you with a document outlining simple navigable User Interface (UI) design including a list of screens, menus and navigation, content mockup and the workflow between each screen. The hi-fi wireframe design provides the client with a complete graphics layout of the product. StableHacks can provide you with an information architecture layout along with a list of product development costs. Stablehacks assisted MoveBe with quality testing and automation during their platform development process. StableHacks is involved in the development of Grain Discovery’s online exchange (desktop and mobile app) leveraging the latest blockchain technology to create an efficient, transparent and secure marketplace that simplifies and enhances the connection between farmers and buyers. In collaboration with Esports Tickets, StableHacks is developing an esports platform where gamers and organizers can create, share and search for events. StableHacks has partnered with Minetell to develop a real-time critical control dashboard for the mining industry. In collaboration with Arkilio, Stablehacks is developing a blockchain-based digital marketplace for the construction industry to empower developers, designers and builders to globally collaborate and financially transact in a digital, secure and trustless manner. StableHacks designed 1 Block Solution’s cryptocurrency investment management website. StableHacks is developing a hardware prototype for midi control using AdaFruit Feather and BLE. 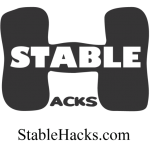 StableHacks is involved in the development of a fractional horse ownership platform in support of the standardbred horse racing industry. StableHacks designed and developed a mobile-responsive website for the Talent to Talent Conference for event promotion and the facilitation of online ticket sales. StableHacks developed a mobile-responsive website to facilitate online purchases through the integration of an e-commerce shopping cart for Antillean.